Call of Duty: Black Ops II was the #1 game played for August. However, Raptr’s focus on this month’s review is about DOTA2 and LoL. For me, I really only cared about RIFT and the fact that their F2P subscription model continues to impress. Oddly, they did not reveal top PC, Xbox 360, and PS3 titles as they’ve done the past few months. A new champion has taken the field. And we’re not talking about Call of Duty: Black Ops 2, which is once again in at the top slot overall. No, the big news is that after a few brief shots at the crown, Valve’s DOTA 2 surpassed Riot Games’ smash-hit League of Legends in both total players and total playtime for the month of August based on gameplay data from Raptr’s 18 million members. Italicize that last part in your mind if you need to — Raptr’s membership skews more North America-centric than the total gaming audience, so we aren’t saying categorically that more people spent more time playing DOTA 2 than LoL. But among Raptr members, they definitely did, although it was close. Also, this list includes PC and Xbox 360 games only — Sony and Nintendo don’t let players share gameplay data publicly. League of Legends shot to the top of our playtime charts due in part to its wildly popular spectator modes, tournament livestreams, and world championships. DOTA 2 officially launched (after an extended beta) on July 9 and just concluded its own livestreamed championship event, The International, which ran August 7-11. No doubt that had a strong effect on DOTA 2′s numbers. 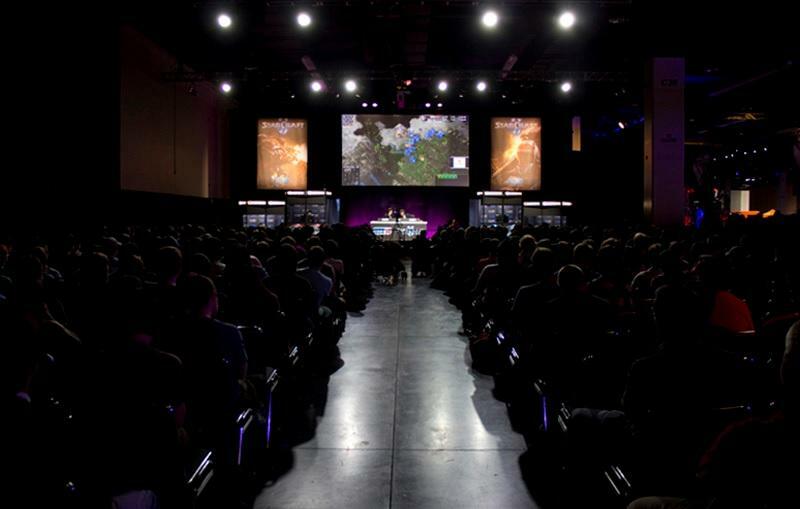 LoL’s Season 3 World Championships just finished up last week, giving Riot a big opportunity to recoup. But Valve’s challenger has nipped at LoL’s heels for months now. DOTA 2 first passed LoL in total players on March 3 — coincidentally, right when LoL servers went down (possibly due to a denial-of-service attack). That gave DOTA 2 a free shot at taking the lead for a day. A few isolated days followed where DOTA 2 came within a few hundred players of LoL’s total…or leapfrogged it by six or seven thousand without warning. Those events occasionally coincided with Riot releasing major patches — typically a source of downtime for online games. But even with servers up and running at capacity, Riot’s numbers have taken a substantial hit of late. Total LoL playtime hours have dropped 13% in the last 30 days. New members in that same timeframe are up a healthy 27%, but overall unique active members are down 6%. That suggests older, established players are drifting away, and the new players coming in aren’t engaging as deeply. By contrast, in the same 30-day window, DOTA 2 saw an 11% increase in unique active members while new signups were down 3%. It’s the exact opposite of LoL’s problem…players are engaging long term, but the influx of new blood is starting to dip. Pushing into the first week of September, it looks so far like a fairly even split between days favoring League of Legends and those carried by DOTA 2. With the glow of The International pretty much faded and LoL’s incredibly popular World Championships happening last week, it’s likely LoL’s numbers will angle straight up again in the middle of the month. But the recent erosion of its player base should be a serious cause for concern if the trend continues after the World Championships. And DOTA 2′s numbers prove that if Riot Games opens the door, Valve’s increasingly popular MOBA will walk right on through. Though these prize amounts don’t begin to rival DOTA 2’s nearly $3 million in total cash awards, if Major League Gaming has it’s way, they soon will. 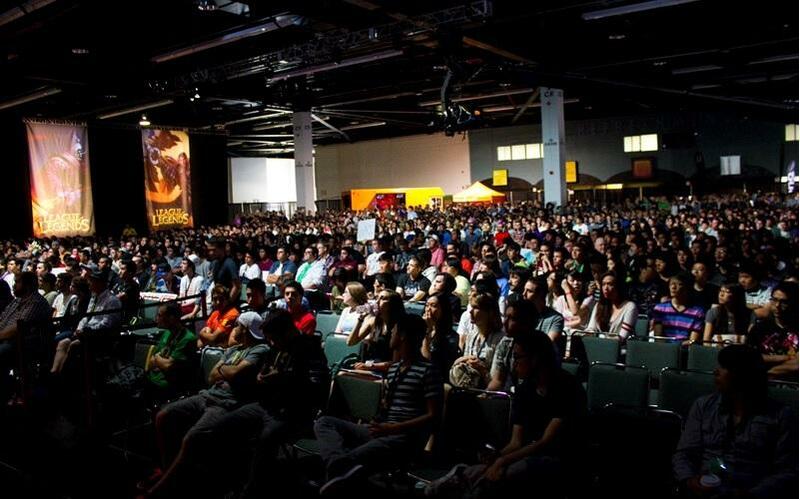 Several games, including Guild Wars 2’s PVP tournament, will find either their national or international championship bouts fought at PAX Prime this year. At first glance, it seems PAX is ready to see over $1 million dished out to deserving teams. $300,000 on the line for Halo’s first-ever Global Championship, with $200,000 going to the winners. 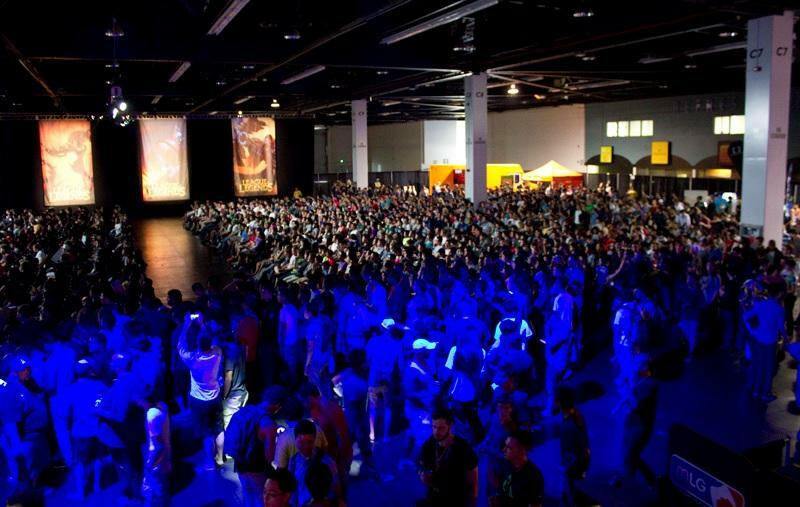 The Halo 4 Global Championships, League of Legends Season 3 North American Playoffs, World of Tanks International World Finals, MLG Call of Duty Invitational, and Smite North American Invitational will all be held at PAX Prime this weekend. 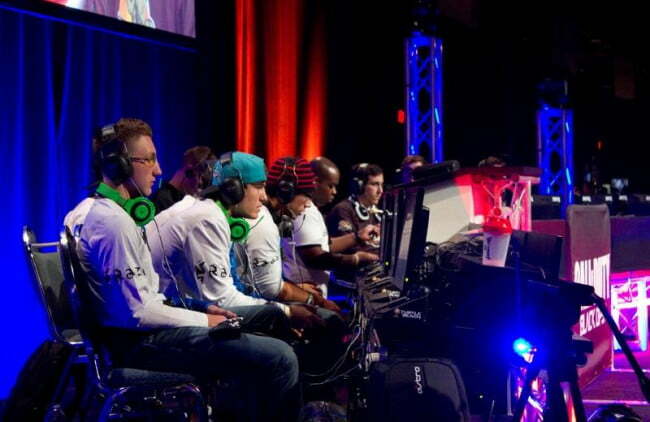 Several former Major League Gaming Halo champions are competing, including Michael “StrongSide” Cavanaugh, Eric “Snip3down” Wrona, and Faisal “Goofy” Khan. A schedule and live stream information can be found on the official official 343 site. An interview with Frank O’Connor, Development Director for the Halo franchise at 343 Industries will be available this weekend.$300,000 is on the line for Halo’s first-ever Global Championship, with $200,000 going to the winners. The tournament will be held at Benaroya Hall in Seattle, the same location Valve used for the Dota 2 International Championships. Last week at Gamescom, three European teams–Fnatic, Lemondogs, and Gambit Gaming–qualified for the League of Legends World Championships in October. Now another $100,000 is on the line and four spots for the North American teams to the World Championships. With North America’s win over Europe at the All-Star game, the region gets an additional spot at the Finals. Teams Cloud 9 and Vulcun wait in the wings, as fan-favorites Team SoloMid, Counter Logic Gaming, Curse, and Dignitas battle it out in the opening rounds. 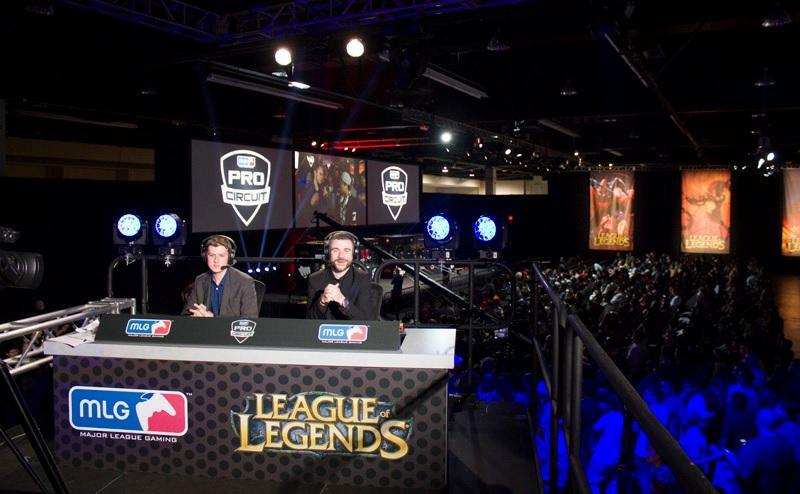 A schedule and live stream information can be found on the official Riot eSports site. Major League Gaming and Turtle Beach are hosting an 8-team $10,000 Call of Duty Invitational featuring Anaheim Champions Complexity, EnvyUs, Impact, Unite, Kaliber, Soar, Faze, and Bad History. Teams were invited based on their 2013 Call of Duty Championship and MLG Pro Circuit performances and the MLG Pro Points Rankings. 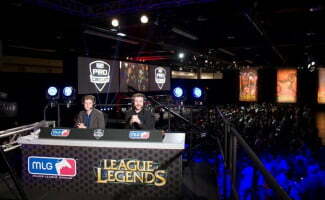 The broadcast schedule can be found onMLG’s site, and the stream can be watched on MLG TV. The world finals of the World of Tanks Open tournament will be on display, with $100,000 up for grabs for the best teams from North America, Russia, Europe, China, South East Asia, and South America. 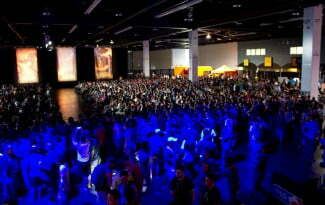 Twitch.tv will be broadcasting the tournament on Sunday, September 1 at Showbox SoDo in Seattle. In an odd, but interesting development yesterday, American Express has teamed up with League of Legends to offer a prepaid debit card with LoL graphics and that rewards cardholders with Riot Points to more quickly afford upgrades in-game. Looking at how AmEx has presented itself via TV commercials, it’s always occurred for me as a card used by the white and rich and middle-aged or order. This is a pretty sizeable leap into a completely different 18-25 year old demographic. Plus, since it’s a prepaid card, folks developing their own personal policies about spending and credit can’t get into financial debt by racking up a huge credit card bill. That’s smart. If this partnership goes well, I wonder how quickly we’ll be seeing similar things for World of Warcraft, Elder Scrolls Online, or even games like Dota 2? In doing a little Google-fu, I found an article from 2006 where the author said “It’s only a matter of time” before credit card companies reach out to tap the online games industry players to expand their brands. I guess that time is now. The American Express Serve Prepaid Account enhances the League of Legendsexperience by integrating a reward-based system called RP+. The RP+ program gives gamers Riot Points (RP), the virtual currency used to purchase in-game items like extra customization or boosts, not only for signing up, but for every qualifying purchase made with the Card. League of Legends, which now has more than 32 million active monthly players worldwide who log more than one billion hours of gameplay a month, also boasts some of the world’s most passionate and dedicated players. Gamers who sign up for RP+ from American Express Serve have the option to receive a customized League of Legends Card with their choice of four popular Champions and original art from the game itself, giving players the opportunity to take a piece of the game they love with them everywhere they go. The American Express Serve Prepaid Account allows Cardmembers to transfer money seamlessly between their fellow players who also have a Serve Account, free of charge. Players can also benefit from the money management features of the account, such as direct deposit, bill pay and free cash withdrawals at MoneyPass® ATMs. To sign up there are no credit checks, no hidden fees, and no minimum balance requirements to maintain. League of Legends players can use their American Express Serve Prepaid Card virtually anywhere American Express® Cards are accepted worldwide, as well as enjoy access to American Express benefits like Purchase Protection, Roadside Assistance, Entertainment Access and more. Players can choose a personalized Card with Teemo, Vi, Lux, Twisted Fate, the Summoner’s Cup or the League of Legends logo. American Express has also become an official payment partner for the League Championship Series (LCS) and the official partner for World Championship, the premiere events for League of Legends professional esports. Key links to products and services: charge and credit cards, business credit cards,travel services, gift cards, prepaid cards, merchant services, business travel, and corporate card. 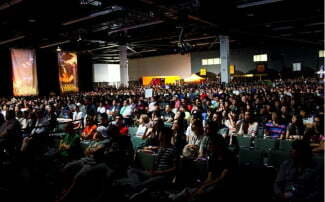 Riot Games was established in 2006 by entrepreneurial gamers who believe that player-focused game development can result in great games. 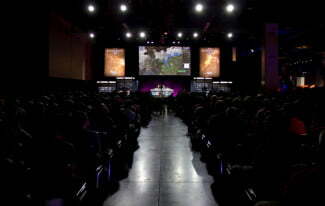 In 2009, Riot released its debut title League of Legends to critical and player acclaim. Over 32 million play every month. Players form the foundation of our community and it’s for them that we continue to evolve and improve the League of Legends experience.